Endnotes are available in the PDF and Scribd versions. Policymakers often treat reproductive health care differently from other forms of health care, but ask any young woman, and she will tell you that gynecological care is a fundamental part of her health care. This year’s debate in Washington around contraception has at times missed the most important issue: When we talk about young women’s health care, most of the time we are talking about their reproductive health care. Yet some conservative, religiously affiliated universities and nonprofit organizations are trying to opt out of an Obama administration regulation that requires health plans to cover contraception with no cost-sharing such as co-pays and deductibles. Because women now make up the majority of students enrolled in higher education, and because women comprise the majority of staff at nonprofit institutions, it is important to look at the health needs of these women. This fact sheet presents some important information about the health care services that these women need and use. For many young women, their annual visit to their obstetrician/gynecologist may be their only consistent contact with a doctor, and it is often their primary interaction with the health care system. Young women use gynecological visits for a range of services, from checking their blood pressure to obtaining a breast exam, from receiving traditional gynecological services such as screening for sexually transmitted infections or birth control prescriptions to being screened for depression and mental health disorders. Reproductive health care is fundamental to and inseparable from women’s overall health and well-being. As such, it’s not surprising that women ages 18 to 34 are more satisfied with their care when their regular provider is a reproductive health specialist, primarily OB-GYN physicians. 2,248,000 women in their 20s needed prenatal care in 2009. By comparison, only 414,831 women under the age of 20 and 1,543,066 women older than 30 needed prenatal care that year. The Centers for Disease Control and Prevention reports that even though young people ages 15 to 24 represent only 25 percent of the sexually experienced population, they acquire nearly half of all new sexually transmitted infections. Compared with older adults, sexually active adolescents ages 15 to 19 and young adults ages 20 to 24 are at higher risk of acquiring STIs due to a combination of behavioral, biological, and cultural reasons. The Centers for Disease Control and Prevention also reports that in 2010 women ages 20 to 24 had the highest rate of chlamydia (3,407.9 cases per 100,000 females) compared with any other group. Between 2009 and 2010 chlamydia rates for women ages 20 to 24 increased 6.9 percent. Women ages 20 to 24 have consistently had the second highest rate of gonorrhea, while women ages 15 to 19 had the highest rate (560.7 cases per 100,000 females) compared with any other group. Gonorrhea rates for women in this age group also increased 3.8 percent between 2009 and 2010. Despite the common misconception that teens are the most likely age group to experience an unintended pregnancy, women are most at risk for an unintended pregnancy during their 20s. Among unmarried women who have ever experienced an unplanned pregnancy, 54 percent are between the ages of 20 and 29, while 31 percent are under the age of 20. Only 15 percent of unintended pregnancies are among women age 30 and older. Nationwide 1.5 million women ages 15 to 44 use oral contraceptives exclusively for non- contraceptive purposes. But more than half of pill users (58 percent) rely on the method at least in part for purposes other than pregnancy prevention. Thirty-one percent use it for cramps or menstrual pain, 28 percent for menstrual regulation, 14 percent for acne, 4 percent for endometriosis, and 11 percent for other unspecified reasons. Teenagers are more likely to use birth control pills for noncontraceptive reasons than older women. Eighty-two percent of young women ages 15 to 19 who use oral contraceptives say they do so for noncontraceptive reasons. Among pill users ages 20 and older, the overwhelming majority—90 percent—report using the method for birth control, and 54 percent report using the pill for its noncontraceptive benefits, as well. Nationwide there are 18,404,500 women between the ages of 18 and 29 in need of contraceptive services and supplies. For these women, contraception use for pregnancy prevention and family planning is a fundamental part of their preventive care and should be considered a basic part of their primary health care. Of the approximately 19 million uninsured adult women in America, about 5.3 million—28 percent—are ages 19 to 25. Women in their 20s have been among the least likely to have health insurance either because they are no longer in school; no longer eligible to stay on their parent’s insurance policy; working part-time, temporary, or low-wage jobs that do not offer health benefits; or some combination of the above. The costs associated with consistent contraception use can be daunting. If uninsured, a woman can face more than $1,200 in annual costs for oral contraceptives and related doctors’ appointments. Even an insured woman can spend more than $200 a year on her annual supply of oral contraceptives and related doctor’s appointments. Regardless of whether a woman has insurance, her contraceptive costs are a significant portion of her out-of-pocket health care spending. One study shows that out-of-pocket spending on oral contraceptives accounted for 30 percent of privately insured women’s health care expenses and 68 percent of uninsured women’s out-of-pocket health care expenses. The study also finds that out-of-pocket spending on contraception is highest for young women between the ages of 21 and 30. Given that the average annual income for working adults ages 18 to 34 is $27,458, these costs present real obstacles to young women’s access to care. One study showed that 55 percent of women ages 18 to 34 reported that they struggled to pay for birth control, leading them to use their method inconsistently or not at all. Research shows that even minimal co-pays or deductibles for preventive services cause women to delay reproductive care. The Affordable Care Act addresses many barriers that young women face in accessing affordable reproductive health care. Most importantly, the law guarantees that contraceptives and other preventive care be covered by insurance without cost-sharing. This requirement will eliminate co-pays and deductibles for preventive care in new private insurance plans with plan years that begin on or after August 1, 2012. For young women who are in school, the health reform law also extends this requirement to student health insurance plans. The law, however, allows religiously affiliated nonprofits and universities that object to contraception to take advantage of a one-year waiver. 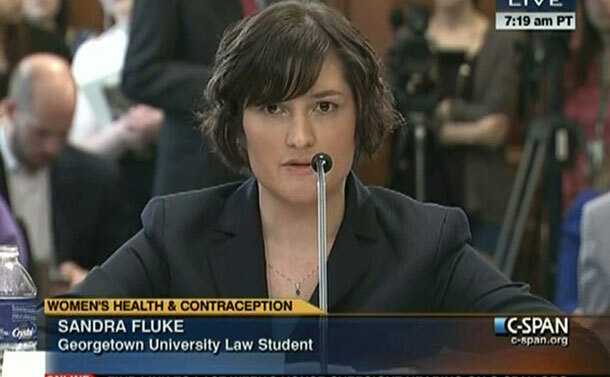 Thus women who work or attend school at these institutions may have to wait for no-cost contraceptive coverage, but they will eventually have coverage directly from their insurer whenever their plan year begins after August 1, 2013. The Affordable Care Act also allows young adults to stay on their parent’s health plan until age 26. To date, this provision has enabled more than 1.1 million young women to gain or keep coverage through their parent’s insurance. In addition, Obamacare bans gender discrimination in the health insurance marketplace starting in 2014. It requires that maternity coverage be covered; prohibits coverage exclusions for gender-related pre-existing conditions such as breast cancer, Cesarean sections, and sexual assault; and outlaws the practice of gender rating so that insurance companies can no longer charge women higher premiums than men. Until the Affordable Care Act is fully implemented in 2014, a 22-year-old woman in the individual insurance market may be charged one-and-a-half times more for her insurance coverage than a man her age for a plan that often does not cover all of her reproductive health needs and other gender-specific conditions. These higher premiums compound the cost-barriers to contraceptive access and other reproductive health services. Finally, Obamacare eliminates the need for a woman to obtain a referral from a primary-care physician in order to visit her OB-GYN, and it provides no-cost coverage for annual well-woman visits. These provisions acknowledge that gynecological visits are a funda- mental part of women’s primary care. The bottom line is that for young women, reproductive health and family planning services are basic, primary health care needs. Insurance coverage that denies access to these preventive services denies young women a basic pillar of their health care that supports a healthy and stable transition to adulthood and could compromise their health in the long term. Young women have much to celebrate in the Affordable Care Act’s treatment of reproductive care as a cornerstone of women’s health care. Jessica Arons is Director of the Women’s Health and Rights Program at the Center for American Progress. Lucy Panza is a Policy Analyst and Lindsay Rosenthal is a Special Assistant with the program. The co-authors would like to give a special thanks to the Center for American Progress’s Women’s Health and Rights Intern, Elizabeth Rich, for her research contributions to this fact sheet.